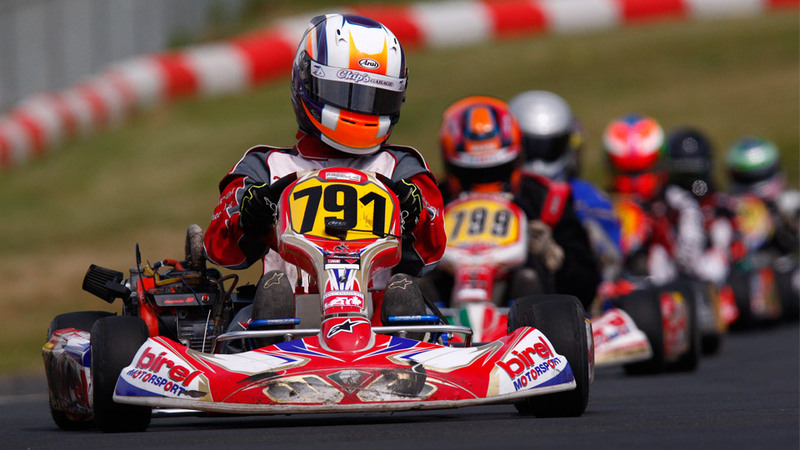 Throughout Briggs & Stratton's century-long history, the Company has been involved with racing in one form or another. This involvement began almost as soon as the first engine came off the assembly line in 1919. The Company's relationship with racing not only helped lay the foundation for many professional American racers, but it helped establish a reputation of reliability and dependability for our engines. This commitment and passion also helped fuel the design, technology, and performance in our engines today. 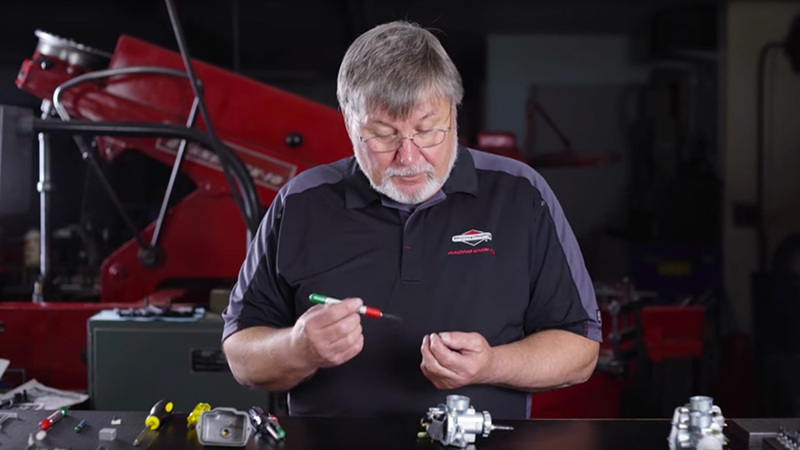 How is Briggs & Stratton involved in racing? After ten years of manufacturing gasoline engine igniters for roadsters and other cars of the time, Briggs & Stratton purchased the rights and began production of the Motor Wheel. This one horsepower, single cylinder engine helped provide affordable transportation for the masses with its adaptation to bicycles, as well as its use on the Briggs & Stratton Flyer. The Flyer, also known as the red bug, was a four-wheeled motorized vehicle comparable to a go-kart. The availability and cost of the Motor Wheel helped fuel the early interest in exhibitions and club racing. In their own way, owners of the motor wheel can be considered Briggs & Stratton's first motorsports enthusiasts. Remaining true to Briggs & Stratton's roots, during the 1930s the Company's engines were found in quarter-scale midget racecars, scaled from full-size versions of Midget cars of the times. 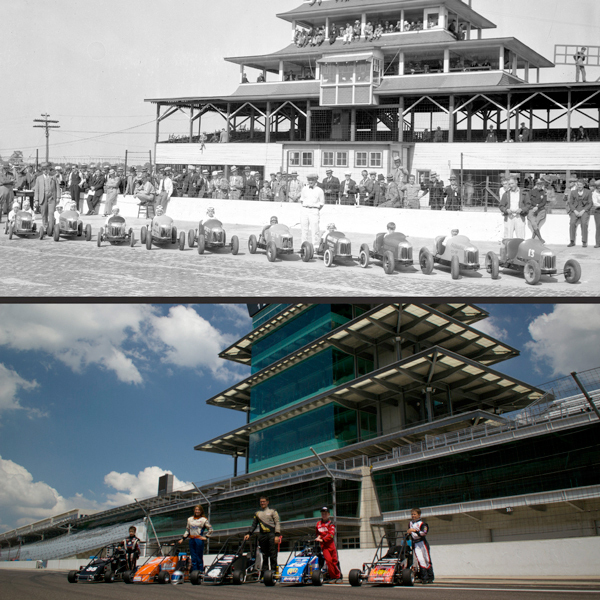 The first known organized meet was two-day event called the "Children's Speed Classic" staged on May 26-27, 1934 at the famed Indianapolis Motor Speedway. Several of these cars were built by Floyd "Pop" Dreyer, who worked for the Duesenberg Brothers, and also by Cannonball Baker, another legendary Indianapolis racecar builder. Oil drums were placed on a section of the main straightaway to mark out a small oval where these cars reached speeds of 20 miles per hour. These cars would continue to grow in popularity over the next two decades and would eventually lead to the founding of the QMA (Quarter Midgets of America). To this day Briggs & Stratton engines are still being used in these competitions. In the 1950s and 60s Briggs & Stratton's racing heritage would continue to grow as engines found their way into a host of different types of racecars. The obsession of racers didn't stop on the track as the lakes of the upper Midwest became famous for ice racing. Leaping forward to the early 1970s, Briggs & Stratton began working with the Society of Automotive Engineers (SAE) on several design competitions. The SAE Mini Baja competition was one such endeavor. 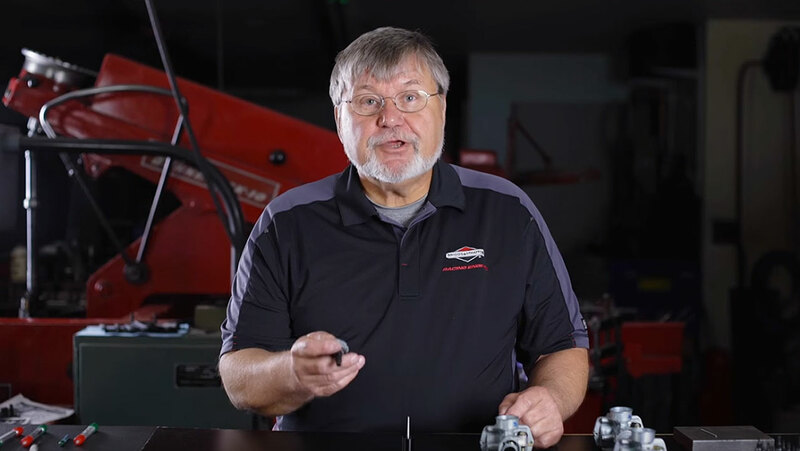 This all-collegiate series has grown into a global competition that pits the best engineers in the world against their peers in manufacturing a vehicle around a Briggs & Stratton engine. Following the success of the Mini Baja program, the SAE Supermileage competition was created. Yet another challenge based around Briggs & Stratton engines, both high school and college students compete to create the most fuel-efficient vehicles possible. Impressive results have been seen time and again, with competitors routinely reaching levels of over 800 miles per gallon, all using Briggs & Stratton's Model 9 engine. Imagine being able to go from Milwaukee to Saint Louis on only one gallon of gas! The heart of this program is to bring the brightest and best together to make this a reality. In the early 1980s Briggs & Stratton's engines were also brought to the world of sanctioned kart racing on a national level. 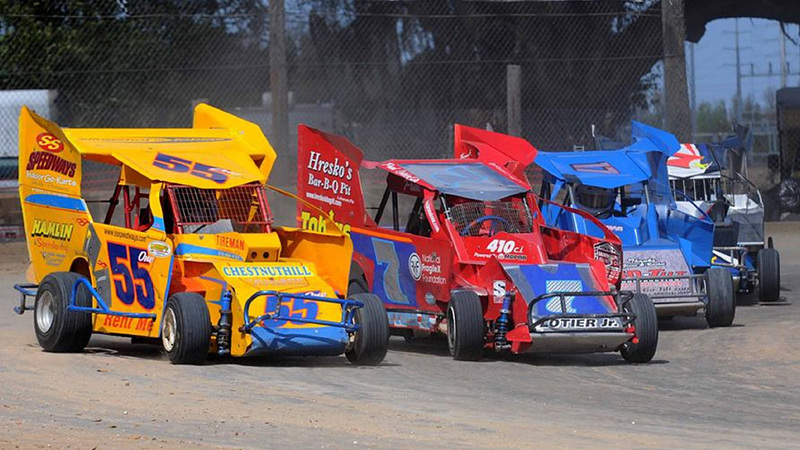 The Company formerly entered the world of racing in 1991 with the introduction of its Racing Division. Around this time the Company began providing support for the National Hot Rod Association's (NHRA) Junior Drag Racing League. 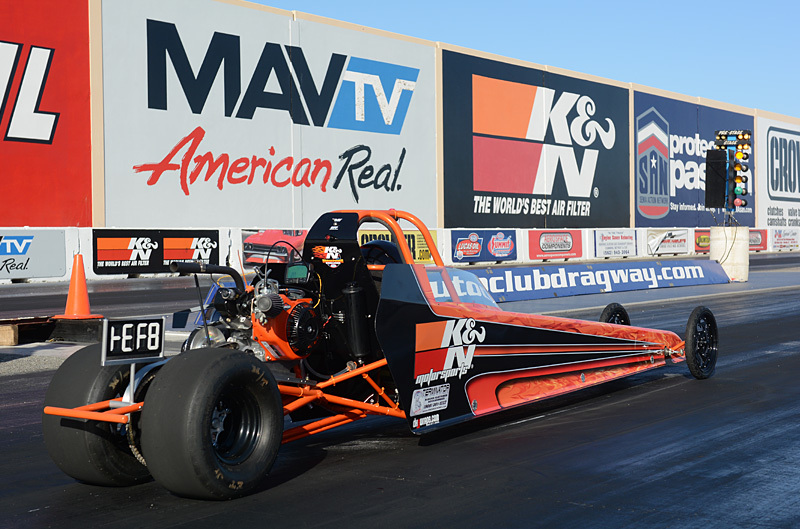 Today, these half-scale dragsters utilize Briggs & Stratton's Raptor and Blockzilla-based engines. n 1998, the Vanguard Model 35 (600cc) V-twin engine debuted in a new racecar called the Bandolero, by 600 Racing, Inc. 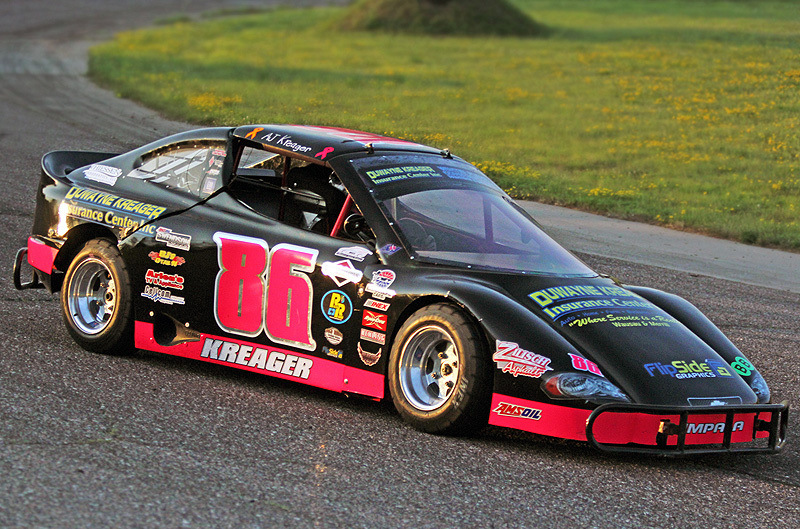 The Bandolero Race Car was a larger scale car based off of the 'formula' that made 600 racing's Legend Racing Car the biggest race class in the world. 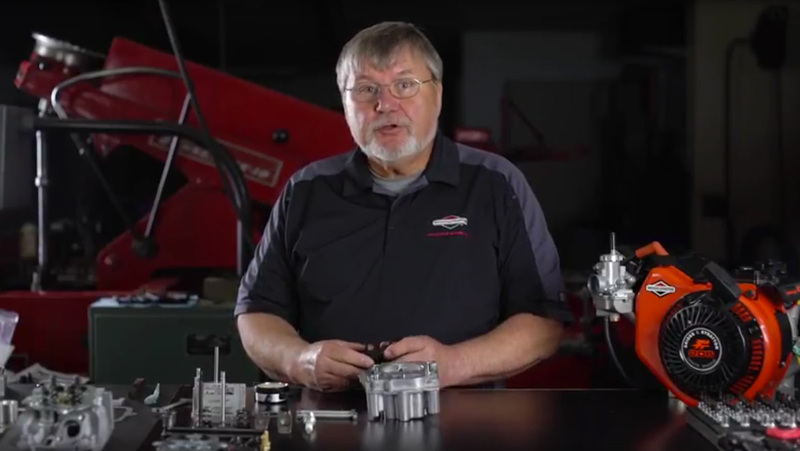 The Vanguard engine, legendary for durability and performance in the commercial industry, catapulted Briggs & Stratton's V-twin racing program. 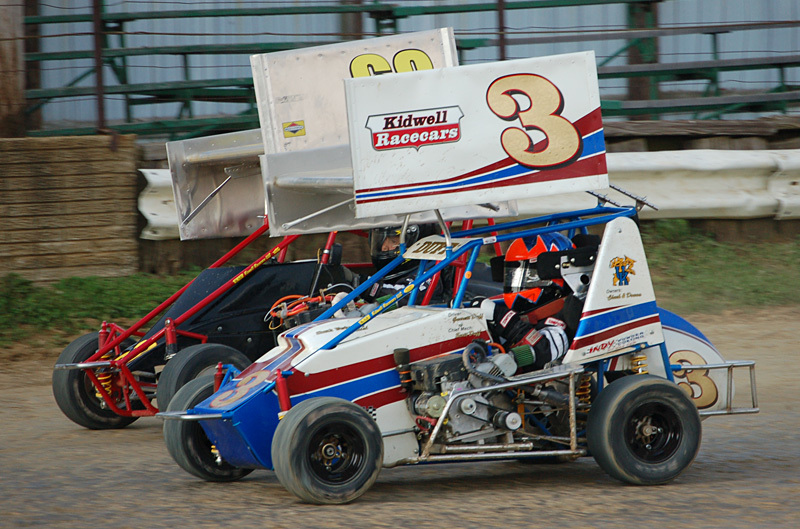 Many other race cars have followed, including the 'Slingshot by Tobias', which was released into the dirt racing community in 1993. This full-suspension racecar would be powered by a modified, sealed, alcohol-burning version of our Vanguard V-twin. 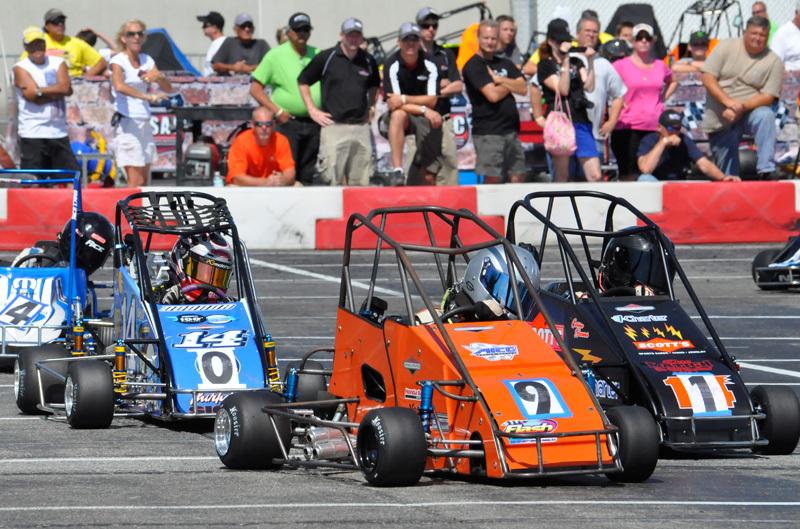 Today, the slingshot runs throughout the United States and participates at some of the top races in the country including the Tulsa Shootout, the Atlantic City Speed Fest and the Rumble at Ft. Wayne. Briggs & Stratton is proud partner in racing community and we continue to engineer, design, and test our engines in the harshest environments possible, to meet not only our expectations, but also those of our customers. We continue this involvement with the racing community through the development of the Briggs & Stratton Motorplex in Elkhart Lake, WI., and the Briggs & Stratton X-plex in Chandler, AZ., helping to provide the infrastructure for the next generation of Briggs & Stratton racers. 1930s Racing powered by Briggs & Stratton engines spreads throughout the country. The most notable example is midget autos manufactured by Cannon Ball Baker, Inc.
Today Tomorrow's biggest stars are just beginning their careers with Briggs & Stratton.